The development and maintenance of software products are knowledge intensive tasks. Due to the high turnover of software industry, there is a great probability that the original designers are unlikely to be available when problems arise and modifications are needed. Therefore, having the reasons behind the decisions recorded can be invaluable as people leave and join the software team, because the knowledge about choices of those leaving would still be available to the newcomers. 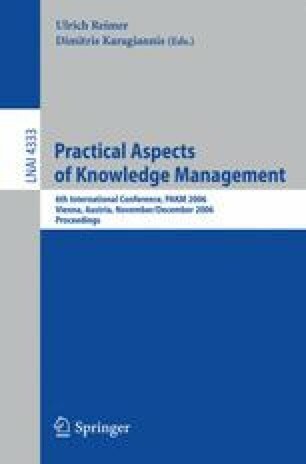 This work describes an approach to support the Technical Solution process through knowledge management in the context of a Process-centered Software Engineering Environment (PSEE) named TABA Workstation. It also presents some information related to a software process improvement initiative undertaken in a Brazilian organization that demonstrates the feasibility of the presented approach.